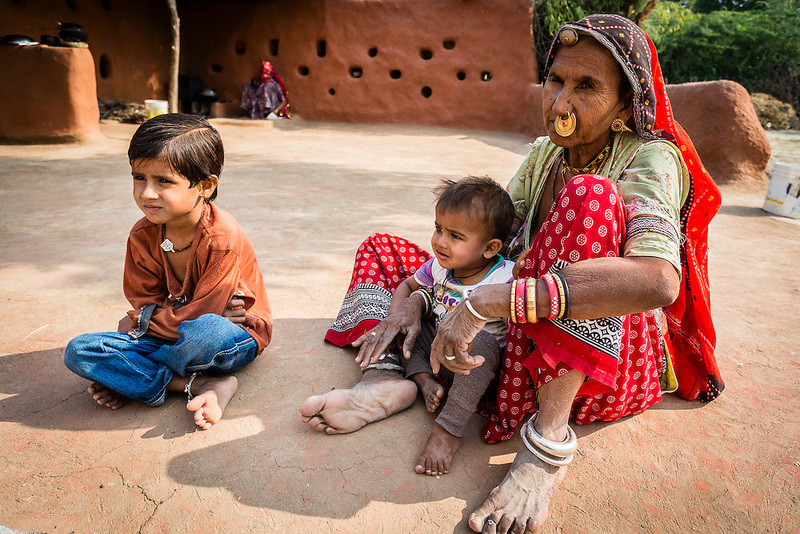 The grandmother and her two grandchildren, from a Bishnoi family. The Bishnoi people live mainly off the land and do not kill any living being. In fact they became famous when 363 members of the tribe were slaughtered by the maharaja's army just for trying to protect trees from being cut to use for timber.